Jordan was born and raised in Richmond, Virginia for 19 years. On a journey with his brother, he moved to Texas almost 3-years ago and this is where he truly came into his yoga practice. His fascination with yoga first came from the allure of the physical benefits. His first class was at a gym at about 17-years old. Since being here in Texas, Jordan has really dove into his practice and for him it feels like home. Since opening up to the practice, Jordan has found healing much deeper than the physical allure that reeled him in. Naturally throughout his life he has felt grounded, steady yet not coming from a stable home. A Libra at heart and according to the stars, Jordan naturally brings balance to any space he encompasses. His classes reflect that, a space for grounding, connecting and healing. He has a natural capacity for patience and ability to hold space for growth. Since becoming a Yoga teacher these abilities have been enhanced and a blessing for his own practice as well as his students. He has studied through two 200 hour YTT, one hatha and the other Vinyasa. 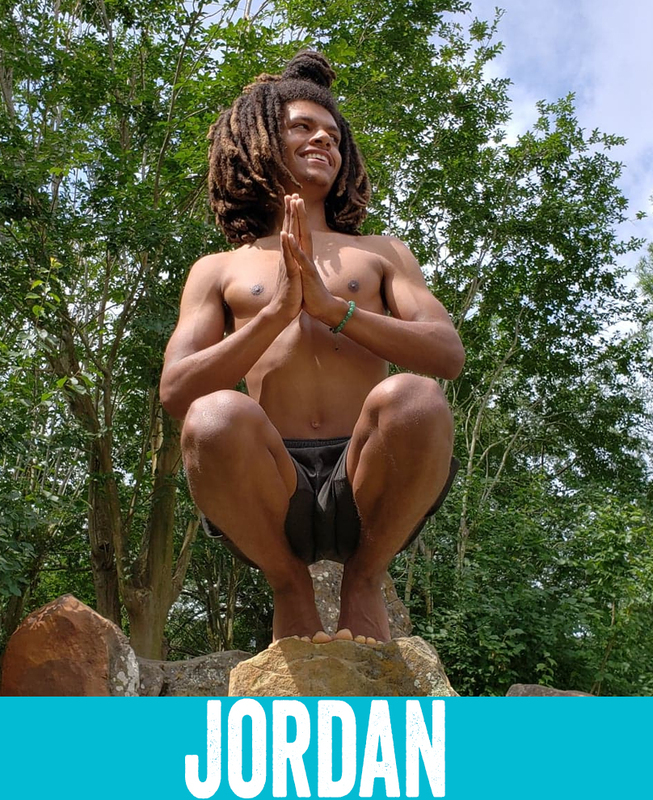 Jordan has since expanded his knowledge through his own studies as well as throughteachers in the community including Sandra Burgess, Larry Threan, and teachings from Robert Boustany. He has also gained experience with the human body through many 1 on 1 sessions as a personal trainer. His classes are a safe space in which he likes focusing on healing through strengthening the outside line of the body and opening the front line of the body. Always exploring, holding a lighthearted space with intention of healing beyond the physical.